I have grown up my whole life being a pitcher, so the players that I am about to list are people that I have looked up to and tried to model my game after. Each man is dominant in his own way, earning himself a spot on my list of the ten best pitchers in the MLB today. The order is completely my own opinion, but I truly feel that each and every one of these pitchers deserves to be thought of as one of the best. Anyway, here goes. 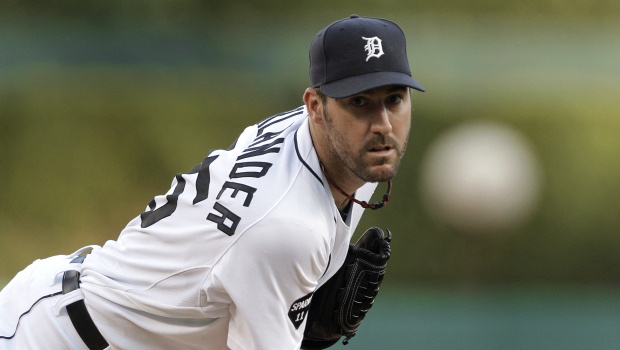 Justin Verlander– Most people could see this one coming from a mile away. I personally believe that Verlander is hands-down the best pitcher in the majors. He has the perfect balance of velocity, control, off-speed, and stamina. He can pump a high 90’s fastball in the 9th inning, and still be able to fool you with his deceptive change-up. He is undoubtedly the leader of the Detroit Tigers, having led them to the World Series twice in the last six seasons. Both attempts were unsuccessful, however. Verlander is a workhorse who will get you a lot of strikeouts (200+ in the last four seasons) no matter who he is facing. Oh, and did I mention he is dating Kate Upton? R.A. Dickey– There is no doubt that Dickey has become an elite pitcher in the MLB, but some might find my number two ranking a little generous. Dickey has been in the league for over a decade, but never really broke out onto the scene until the 2012 season. And boy did he break out. Dickey compiled a 20-6 record in 33 total starts. Some might be puzzled as to why it took him so long to break out. Well, the knuckleball is not an easy pitch to master. That being said, Dickey has now MASTERED it. He is often compared to Tim Wakefield, another recent knuckleballer, but I personally think the comparison is almost useless. Wakefield was a great pitcher in his own respect, but Dickey has taken it to a whole new level. He throws the knuckleball harder than it has ever been thrown, and he knows exactly where it is going to end up, a combination deadly to almost any hitter. Coming off a sensational year, he is starting fresh in Toronto with a decent supporting rotation, so it should be interesting to see what kind of year is in store for Dickey. Matt Cain– Over the past year or two, I believe Matt Cain has developed into a superstar pitcher, and the unquestioned ace of the San Francisco Giants. With the decline of Tim Lincecum, Cain has stepped up and carried the Giants pitching staff. He has a career record of 85-78 with a 3.27 ERA. While these stats are not amazing, he is still developing even at the age of twenty-eight. In two postseason trips, he has a record of 4-2, and did not even let up an earned run in the 2010 postseason, which led to a World Series title for the Giants. To top it all off, Cain tossed an incredible perfect game on June 13th, 2012. Clayton Kershaw– Throughout his short career, Dodgers ace Clayton Kershaw has done nothing but prove himself. He is preparing to enter his sixth full season, and there is no doubt in my mind that it will be another successful one. Over his first five years, Kershaw has put together an impressive record of 61-37. With a career 2.79 ERA, this lanky southpaw has a variety of ways to make batters miss. The young Kershaw was awarded the 2011 NL Cy Young award, thanks in no small part to his utterly devastating slider. He, like Verlander, is one of the few pitchers in the league that almost seems to get better as the game goes on. Mr. Kershaw is my prediction to win the Cy Young award again this year. David Price– David Price is another young pitcher who has already given himself a name throughout the major leagues. Behind Justin Verlander, I think Price is arguably the best pitcher in the American League. If you don’t know who he is, you’re missing out. This 6 foot 6 Rays ace consistently throws fastballs between 97-99 MPH, an obvious problem for hitters. In his four full years, Price has already completed a 19 and a 20 win season. Very few people get on base against him, and even fewer are able to hit the long ball. His only flaw, however, is sub-par postseason track record. While he is still inexperienced in the playoffs, he has a 1-3 record while letting up almost four runs per game. Price was the recipient of the 2012 AL Cy Young award, barely sneaking past defending champion Justin Verlander. While I don’t see him winning the award again this season, I think he will definitely have another great year, compiling seventeen or eighteen wins. Jered Weaver– Since his 2006 entrance into the MLB, Jered Weaver has never had a losing season. In fact, he has never had less than eleven wins. He has almost twice as many wins as he has losses, (102-52) and he racks up strikeouts like it’s his job. Well, I guess it is his job. Anyway, Weaver stands at a towering 6 foot 7, so his heaters jump on hitters even faster than they normally would. 2012 was a career year for Weaver, when he earned twenty wins with a measly five losses. Posting a sub 3.00 ERA, he earned the $14 million he was paid while finishing third in the Cy Young voting behind David Price and Justin Verlander. Stephen Strasburg– This pick might come as a surprise to some people, as Strasburg does not have that much experience in Major League Baseball. The 2012 season marked the first season in which he made at least twenty-five starts. He compiled fifteen of his twenty-one career wins during the 2012 campaign, while posting a 3.16 ERA. With a history of arm problems, Strasburg was shut down in the beginning of September, after just 159 innings. There was a lot of disagreement whether or not the Nationals should have cut his season short, and there is really no way to determine who would have been right. All we can say for sure is that the Nationals would have been a much different team in the postseason if he were at the top of the rotation. Look for Strasburg to be an NL Cy Young finalist this year, barring any injuries. Felix Hernandez– All hail King Felix! I believe Hernandez is one of the most underrated hurlers in the Major Leagues. Not because of his talent, but because he plays for the small-market Seattle Mariners. He doesn’t get the exposure that a Verlander or a Weaver would get. Over the past seven or eight years, he has been one of the most consistent pitchers in the league. He constantly pitches 200+ innings, and records an utterly ridiculous amount of strikeouts. With a 98-76 career record, his win percentage isn’t all that great. That being said, he often has issues with run support, as the Mariners are one of the worst offensive teams in the leagues. King Felix just signed a humongous deal, giving him the biggest pitcher’s contract in MLB history. It will be interesting to see whether he can live up to his expectations, or cracks under pressure of a big contract. Roy Halladay– Halladay is the oldest pitcher on my list, and he is nothing short of a seasoned vet. Over the last decade and a half, Halladay has put together nothing short of a magnificent career. With a 199-100 record, there have been more than 2,000 strikeout victims. He spent his first twelve years with the Toronto Blue Jays, before joining the Phillies in 2010. His impact was immediate in Philadelphia. Between Halladay, Hamels, and Cliff Lee, the Phillies had easily the best rotation in the pros. Unfortunately, it appears as though Halladay is in the decline of his career, but his numbers are still very impressive. Look for the Phils to battle the Nats for the top spot in the NL East this season. 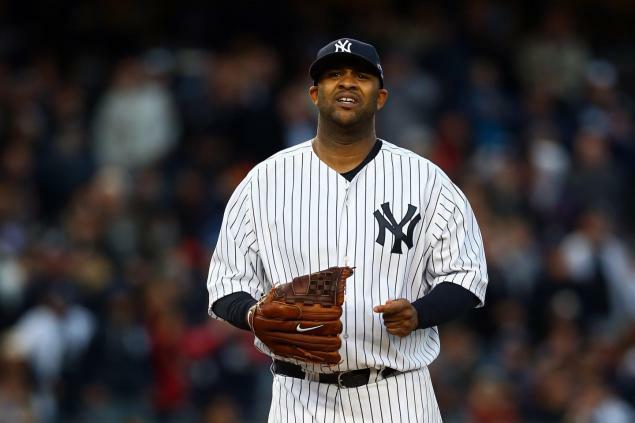 CC Sabathia– Rounding out my top 10 is the hard-to-miss CC Sabathia. The current Yankees ace has dominated no matter what team he’s been on. Whether it was Cleveland, Milwaukee, or New York, the numbers are always the same. Winning records and loads of strikeouts are this big man’s recipe for success. Much like Jered Weaver, this 6 foot 7 giant puts fastballs on hitters much faster than most other pitchers. His 2012 numbers declined just a tad from his previous Yankee years, so look for a bounce back year for Sabathia. Other pitchers that came to mind were Cole Hamels, James Shields, Cliff Lee, and the up and coming Gio Gonzalez. This entry was posted in Baseball, Baseball, Home, Midwest, National and tagged David Price, Justin Verlander, MLB, R.A. Dickey, Yankees. Horrible. Absolutely a joke. Kershaw is was better than Dickey and Cain and Felix is significantly better then Weaver. This must be a joke. If not then you have no idea what you are talking about. I would rank Price and Hernandez higher, and Dickey lower.